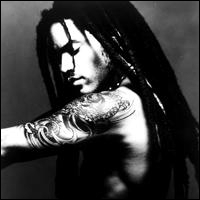 Lenny Kravitz, another multi-instrumentalist, has been influenced by the same artists as Prince: Sly Stone, Jimi Hendrix, The Beatles, etc. His music is sometimes called derivative, a reproach which should be nothing new for Prince fans. They seem to be rather good friends and already have announced a future album (looking forward to that! ).